In order to make sure everyone has what they need for the school year, I am including a list of items that each student will need on the first day of school. The supplies listed below become communal once they are brought to school. Please do not label with names. We are looking for specific brands as they last much longer than others. Donations of extra supplies from the list are always welcome! If you feel you cannot supply the items on this list, we are happy to help and will make sure that your child has everything that they need. The yearly school supply lists can seem like a lot at the beginning of the school year but please know that we take very good care of our supplies and put it all to very good use! 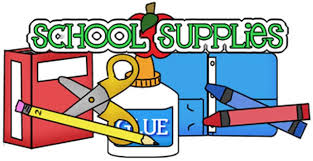 Please bring school supplies to First Grade/Multi-Age Drop-in or send with your child on The First Day of School J !